While we understand that every single computer situation is an emergency for the customer, we have to admit that sometimes you can find a work around and another solution. This is why we have a ticketing system, not only to keep track of the work we do but also for you to keep track of the work we are doing. Is very important you that share with your staff these links when they request Support or Service. We will only reply or follow support via text to Managers or Company owners when there is an emergency. 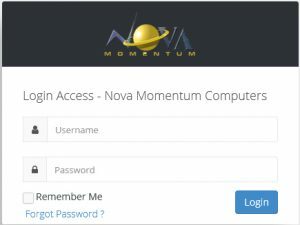 The rest of the staff we recommend to open a ticket via our Website or email a support ticket via our Nova System Tray Icon.